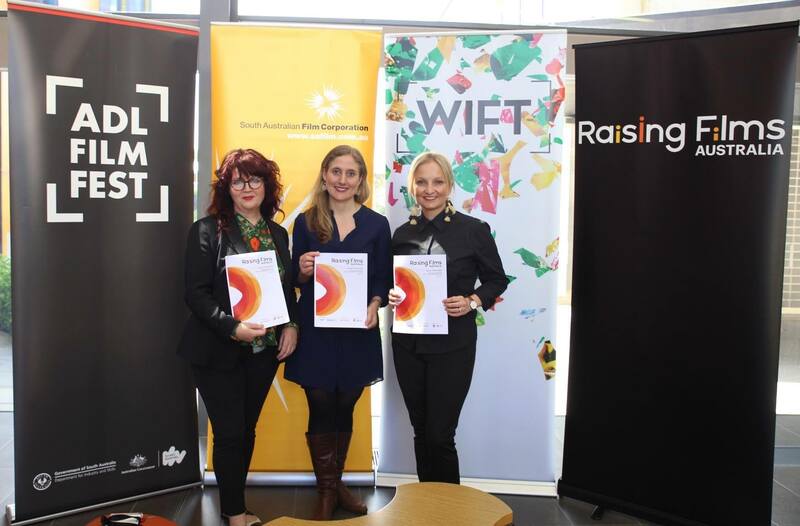 WIFT Australia Raising Films Australia Screen Industry Survey report, “Honey, I Hid the Kids! : Experiences of Parents and Carers in the Australian Screen Industry” was released at the 2018 Adelaide Film Festival. The report reveals significant challenges to being a working parent or carer in the screen industry, with 74% of respondents reporting the impact of caring work on their role in the industry as negative. 60% of carers within the industry are freelance or self-employed and state that long hours, financial uncertainty and unpredictable work commitments are the major concerns. Experiences reported include people hiding the fact that they have children, people taking on more than a full-time load in order to survive, through to those who have had to leave the industry altogether, resulting in an industry-wide loss of knowledge and expertise. Further, the South Australian Film Corporation (SAFC) today announced a range of initiatives designed to make it possible to have a continually evolving career in the screen sector and be a carer at the same time. In a major policy shift the SAFC will introduce the Return to Work Rider, requiring that any project that receives over $400,000 in state funding, engages at least one crew member, key creative or Head of Department who is returning to work after time away as a carer. To support industry to deliver this, the agency will create and maintain a Return to Work Directory of practitioners ready to return to work. When the SAFC engages consultant screen makers, mentors, workshop leaders, and external assessors, it will prioritise working with people taking time away from work for caring. SAFC funds will be available for training for practitioners returning to work to update skills relating to advances in technology, changes in business models or other new developments impacting their areas of expertise. In addition to these new measures, the SAFC announced a new development and production initiative, Doing It Differently, to develop and ultimately provide production investment towards projects that break the mould in terms of production methodology. A landmark example of Doing It Differently is 52 Tuesdays, which five years ago the SAFC enabled through development, financing and production. Adelaide-based Closer Productions developed a unique methodology for 52 Tuesdays, shooting only every Tuesday, for whole a year, while they kept working on other projects the rest of the week. The result was a calling card film for Closer – for producer Bec Summerton and director Sophie Hyde – and the film was awarded the Crystal Bear at Berlin and Hyde the Best Director World Cinema at Sundance, among many other awards. It was also the screen debut of Tilda Cobham-Hervey, star of Hotel Mumbai. Inspired by 52 Tuesdays, Doing It Differently aims to challenge the often family-unfriendly prevailing production orthodoxies. SAFC will seek proposals for projects – film, web and TV – demonstrating new production models that are outside the box and which will deliver fresh forms of screen entertainment. This announcement follows the recent launch of the first ever creche available to delegates at Australia’s premier Screen Industry conference event SCREEN FOREVER. The free creche – now fully booked – was funded by the SAFC and Create NSW, in partnership with Screen Producers Australia (SPA) and Women in Film and Television (WIFT) Australia, and recognises the importance of access to the intelligence and opportunities that come with attending the annual conference, and in supporting a sustainable and diverse screen industry. The Raising Films Australia Screen Industry Survey results will now be further digested, with a deeper analysis to be handed down in November. Broader strategies to address the issues raised in the report will then be fleshed out in an industry forum to be held at the Australian Film TV and Radio School (AFTRS), in Sydney on December 6th. More details about the forum will be announced shortly.